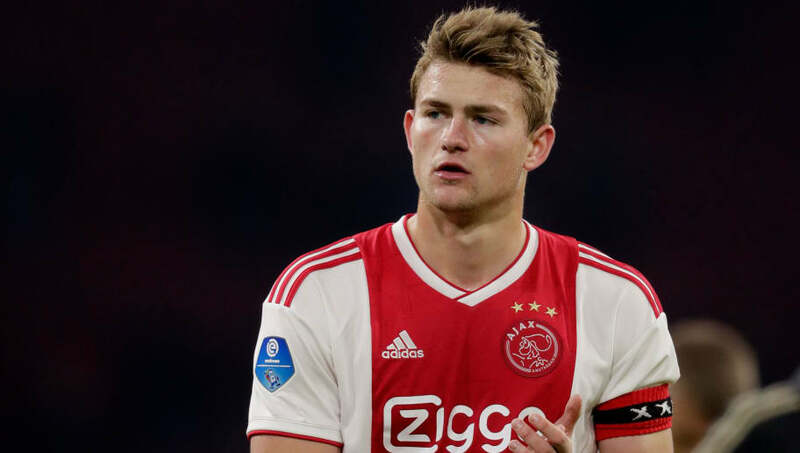 ​Manchester City are thought to be leading the race for Ajax defender Matthijs de Ligt, but face competition from the likes of Bayern Munich and Barcelona. The 19-year-old is widely believed to be one of the most exciting young talents in world football and, alongside teammate Frenkie de Jong, is expected to make a blockbuster move to one of Europe's biggest clubs in the near future. News of ​City's interest in de Ligt comes from Dutch outlet ​Voetbal International, who describe City as the "main bidder" in the race for the defender's signature. The report claims that City have identified de Ligt as their desired defensive reinforcement for next summer, but they are keen to make a move to sign him as soon as possible, with many of Europe's elite clubs said to be pushing hard for the youngster's signature. ​Barcelona and Paris Saint-Germain have been tipped to go head to head for the signatures of both de Ligt and de Jong, whilst ​Juventus and ​Bayern are also thought to be monitoring the centre-back. De Ligt certainly boasts the composure and technical ability which City manager Pep Guardiola likes in his defenders. The defending ​Premier League champions already have the likes of ​John Stones, Aymeric Laporte, ​Vincent Kompany and Nicolas Otamendi as their central defenders, whilst promising youngster Eric Garcia has also made his debut for the side this season. However, with doubts surrounding the futures of both Kompany and Otamendi, City could soon be forced to enter the transfer market to replace their ageing stars. Stones and Laporte, both 24 years old, have dominated the starting lineup at the Etihad Stadium this season and have helped City keep ten clean sheets in the Premier League. Laporte has also featured as a left-back, and could be permanently moved to the flank to incorporate a new defender like de Ligt.